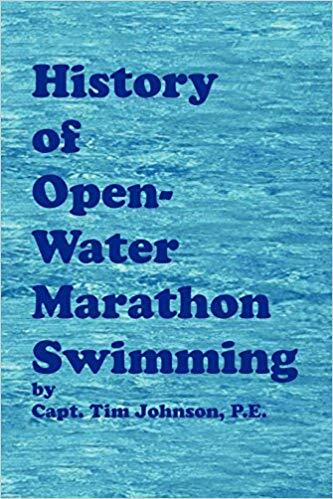 Many people have studied and reported on the habits and lifestyles of wealthy people, politicians and celebrities, but the daily habits and lifestyles of open water swimmers is our focus and interest. "We asked a series of questions regarding sleep, nutrition, dryland training, mindful training, swim training, personal perspectives, and the future to a number of luminaries of the sport, primarily marathon and channel swimming veterans in their 30's, 40's, 50's and 60's," explained Steven Munatones. "It was an interesting view of these athletes conduct themselves with discipline and dedication on a daily basis." Ingemar Macarine (Philippines, shown above): I sleep at 9 pm and wakes up at 5 am. Darren Miller (USA): I typically average about 6-7 hours of sleep at night; very rarely do I get a full 8 hours in. Bill Goding (USA): 6 am on average. Karlyn Pipes (USA, shown above): 10 pm and up about 6:00-6:30 am all week. Julie Bradshaw MBE (UK): It has got later the older I have become, usually 11 - 12 pm. Ellen Shockro (USA): To bed no later than 9 pm; awake by 4:30 am. Bridgette Hobart Janeczko (USA): I try to crash during the week to get at least 7 hours, which is often tough. I try to swim at 5 am so I try to wind down and crash by 9 pm and rise at 4 am. Weekends vary, but I try to get good 8 hours sleep on weekends. Anthony McCarley (USA): On weekdays, I am in bed almost always between 9:30 - 10:00 pm and up between 5-6 am. The big variable is the amount of swimming I did that day. Weekends about the same – except Saturday mornings, almost always up at 4:50 am. Ryan Stramrood (South Africa): On average, 11:00 pm to bed and 5:30 am wake up. Marcy MacDonald (USA): I'm tired and usually settle down at 8:30 pm, hard sleep for about 1.5 hours, wake about every 2 hours. I have always been a horrible sleeper and then up at 4 am to get the animals ready. Eney Jones (USA): I love sleep for beauty, for health, for relaxation, and for meditation. It is a luxury that is not expensive. In college, I would go to bed after afternoon workout and sleep until 2 am and then study until morning workout. I still love this schedule now, as odd as it may seem. I am answering this at 3 am - it is the best time to get work done. Things are always better in the morning. I adore sleeping. John Kenny (USA): The day of week is irrelevant. I usually go to bed somewhere between 11pm and 1am. I wake up at 5am if swimming. If no swim practice to train or coach, I sleep until I wake up (no alarm). Usually 8 or 9 am, depending on level of physical exhaustion. Kevin Murphy (UK): I did not have a regular sleep pattern because I worked shifts to earn the money to pay for my swimming. I also had two jobs and worked a regular 70 hours per week including overnights and early mornings in quick succession. Matthew Moseley (USA): 4:40 am on weekdays most days to train at 5:40 am. Weekend at 7 am on Saturdays and Sundays. Lori King (USA): On weekdays, I go to bed around 10:30 pm and wake around 6:00 am. On weekends, I will go to bed around 11:00 pm and wake around 7:30 am. Doug Woodring (Hong Kong/USA): Weekdays 12 pm - 1 am and weekends the same. Hong Kong is a late place, as is work with the rest of the world and time zones. Ingemar Macarine (Philippines): I sleep soundly at night. Darren Miller (USA): Yes, quite frequently actually. An active mind is always the culprit, even on some nights where I am exhausted, the mind continues to keep me going when I definitely need the rest. At this point in my life, my growing family, business ventures and dealing with an unfortunate running injury the last 5-months. Avery interesting thing I have found is that sometimes the better shape I am in the less sleep I get – doesn’t really make sense, but seems to have been noticeable when I was heavily into a training period for an event. 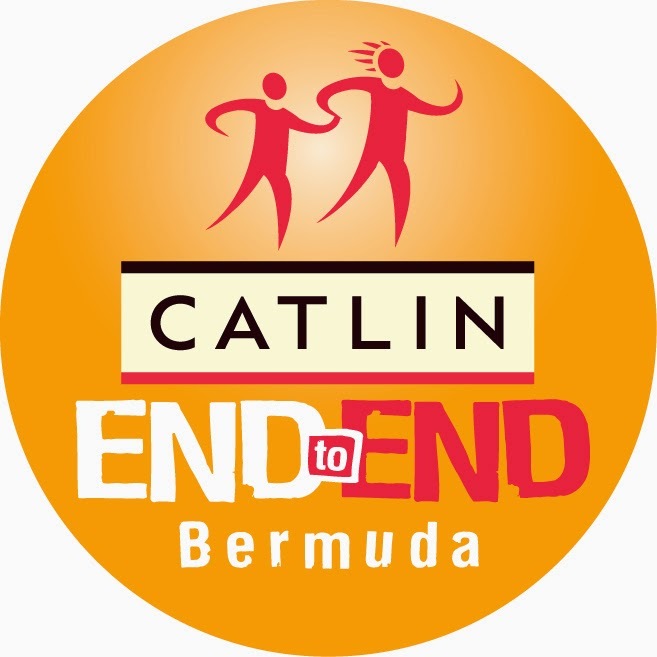 Bill Goding (USA): I do not suffer from insomnia. Karlyn Pipes (USA): Travel or too much caffeine. Julie Bradshaw MBE (UK): No, I sleep like a log. Ellen Shockro (USA): Great sleeper. Bridgette Hobart Janeczko (USA): Oh yeah, it is one of the benefits of menopause. You can fall asleep standing up, yet go to bed and then bounce off the walls. I was taking a few Advil PM to sleep, but I recently discovered Melatonin and it is working really well for me. I take 10 mg tablets that dissolve in my mouth. Anthony McCarley (USA): Thinking about life or work. Ryan Stramrood (South Africa): I sleep really well, usually thanks to a hard day's work and training, no problems here. Marcy MacDonald (USA): I sleep poorly every night, but I guess I'm used to it. 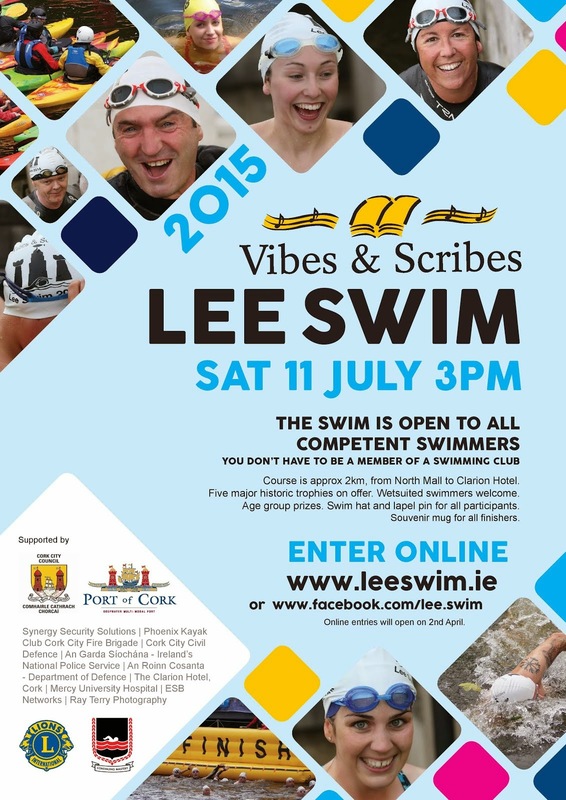 I have lots on my mind I suppose, but I function fine during the day...great preparation for 24-hour swims. John Kenny (USA): Only when I don't train. Kevin Murphy (UK): No insomnia, but I sometimes only had time to sleep two hours at a time. Matthew Moseley (USA): I sleep very well. Some poor sleep if I'm worried about something. Lori King (USA): Yes. If the kids are sick or if I have a practice that I know will be difficult. I get anxious and nervous and have disrupted sleep. Doug Woodring (Hong Kong/USA): Not usually, particularly if I work out in the day, but sometimes it is from thinking too much, and waking up with too much on my mind and things to do. Ingemar Macarine (Philippines): At night. Darren Miller (USA): Usually after a day where I am able to accomplish a lot on my to-do list and can be in a good mental place to stop and rest. Bill Goding (USA): When I go to bed regularly, usually 9 pm. Later, I don’t sleep well. Karlyn Pipes (USA): 10 pm - 6 am. Julie Bradshaw MBE (UK): When I am in bed. Ellen Shockro (USA): When unworried. Bridgette Hobart Janeczko (USA): When the temperatures are cooler and when I take my Melatonin. A firm mattress makes a world of difference for me too. Anthony McCarley (USA): I have sleep apnea, so almost never. My deepest sleep is after a day when I swam at least 10,000 meters. Ryan Stramrood (South Africa): Right through the night. Marcy MacDonald (USA): I can't remember the last night I slept the entire night. Eney Jones (USA): I sleep best with a fan on or an ocean breeze. John Kenny (USA): 4 - 6 am. Kevin Murphy (UK): When I used to go on holiday for 2 or 3 weeks a year when I would train hard, but not work. Matthew Moseley (USA): After a big training swim. Lori King (USA): When I know I do not have to get up for a swim. Usually a Saturday night. Ingemar Macarine (Philippines): Yes 1 hour after lunch. Darren Miller (USA): I would love to take more if possible, but typically my days never allow for such a thing. If I am able (maybe after a long workout session, or a random Sunday afternoon, I typically rest for no more than 20-30 minutes, as that typically gets me back on track for what I need. Bill Goding (USA): I don’t take naps because it keeps me awake later that night. Karlyn Pipes (USA): Midday once or twice a week, 20 minutes or less. Julie Bradshaw MBE (UK): No, no time as I am always busy! Ellen Shockro (USA): No naps, but very tired in a wave after lunch, then revive. Bridgette Hobart Janeczko (USA): No. I wish I could do the power nap, but I never been able to do so. Mom said I haven’t napped since I was 2 and it made me a nightmare of a kid. Anthony McCarley (USA): I love naps. Weekends up to an hour. This has more to do with sleep apnea than it does swimming. Ryan Stramrood (South Africa): Whenever I can, which is pretty much never. Usually 90 minutes on those rare occasions. Marcy MacDonald (USA): I love taking naps. Five minutes can refresh me, but I don't have the time for them everyday. Anything over 1 hour upsets my night sleep. Eney Jones (USA): No naps except when I was competing at a high level. Then my coach, Randy Reese, would even call to wake me at 3 am so I was ready for prelims and would race like finals. John Kenny (USA): Only when I'm not busy or too exhausted to stay awake. Once a month, at best. Sad, I know. Kevin Murphy (UK): Yes. I find one or two hours will set me up to be active for another six hours. Matthew Moseley (USA): I love naps when possible. 30 minutes is great. Lori King (USA): No, never. Doug Woodring (Hong Kong/USA): No, I hate the sleep hangover feeling when I wake up afterwards. Better to power through and keep active. I do sleep if when in a car and not driving, or in a movie theater – as soon as I slow down, then somehow sleep kicks in – maybe from the Japanese way. Ingemar Macarine (Philippines): No I do not have a specific diet. Darren Miller (USA): I am all about a healthy lifestyle, not a diet. We all know what is good for us, and what is not – for the most part. I am always interested in trying new ventures (such as trying a vegetarian lifestyle for a few months) to see how my body and vitals (resting heart rate, cholesterol, blood pressure) respond. I like to think I know a lot about nutrition; however, I am always looking to evolve and learn what can make my body stronger in the long run. Bill Goding (USA): Plain healthy eating (veggies, fruits, no red meat) and moderate alcohol. Karlyn Pipes (USA): Not really. Julie Bradshaw MBE (UK): Just eat well and a mixture of foods. Ellen Shockro (USA): Vegetarian since 1985. Bridgette Hobart Janeczko (USA): No, but I am much more sensitive to what I eat pre-event and when training hard I try to supplement with protein smoothies made with Hammer Recoverite. That fills me up, but otherwise, I eat whatever and likely way too many sweets. Anthony McCarley (USA): As I get older, I am trying to eat less red meat. I have never have been one to eat the fatty (grizzle) part of meat. I try not to eat too much. I don’t like the bloated feeling. Ryan Stramrood (South Africa): I recently converted to a LowCarb, HighFat (LCHF) diet as I’m a convert that the body best burns fat for endurance rather than carbs. But I lost 6.5 kg of weight in 8 weeks and simultaneously lost much of my cold water tolerance. So now, with the North Channel looming, I am back to as many carbs as possible, mainly to gain weight. Sadly, there is no middle ground. Marcy MacDonald (USA): I eat everything; I am not a vegetarian or vegan, but I do try to eat properly. I don't like fast food, but I do like good food and ice cream in the summer. All in moderation, but for the average person, I guess I eat a lot. If I'm hungry, I eat, after an open water workout, ice cream is always in the schedule. Eney Jones (USA): No, I believe food is fuel and needs to be thought of that way. I believe a strength-to-body weight ratio is also important. I try to eat seasonally. My staples are salads, cottage cheese, potato chips, granny smith apples, tuna fish, and stone crabs when I can find them. I guess that makes me a cannibal because I am a mermaid. John Kenny (USA): I have a balanced diet. I recently switched to more of a plant based diet, but it is far from vegetarian. Kevin Murphy (UK): I tried to eat sensibly with half an eye on protein while training and carbohydrates when needed. Matthew Moseley (USA): This is my weakest part. I'm from Louisiana and love to eat. I have no real diet or guidelines, but I try to eat fruits, veggies and good stuff -mostly. But during my swims, I stick to a very regimented feeding schedule of every 20 minutes with nutrition planned down to the ounce. Lori King (USA): I try to make sure, at a minimum, I give my body the protein, carbohydrates, etc. that I think I need, but I do not deprive myself of anything. Doug Woodring (Hong Kong/USA): No, but I eat fairly well and don’t have a big sweet tooth. Living in Asia means I can avoid some of the huge U.S. portions of processed mess. Ingemar Macarine (Philippines): Rice and chicken or fish. Darren Miller (USA): After my Oceans Seven completion in 2013, I wanted to lose the Channel fat that I had accumulated over the years. I took up active ultra-running and even a CrossFit routine. I stuck to a paleo-style diet which was high in fats, and low in carbohydrates. It worked well, and I lost the weight fairly quickly. After doing a lot more research on the diet, I am not turning more toward trying a vegetarian lifestyle to see how that would affect my strength and stamina. I stopped drinking dairy several years ago, and have embraced almond milk as well, after 30+ years of drinking dairy. The peanut butter and jelly sandwich is my staple go-to food for my heavy training. Bill Goding (USA): Regular – fish, chicken. Pasta before swims. Ellen Shockro (USA): Eat high protein and healthy carbs. Eat more days before a major race. Julie Bradshaw MBE (UK): Good quality food such as steak, rice, a variety to give me energy. Plenty! Bridgette Hobart Janeczko (USA): I eat a lot of red meat with my favorite being filets. I’ll also do chicken and a lot of eggs. I supplement with protein smoothies with Hammer Recoverite. Pre-major swim, I have a very sensitive stomach so I really watch what I eat a solid 3 days before – bland foods, and I start doing Hammer Recoverite because it has whey protein and other products are soy-based protein and I have soy sensitivity. Anthony McCarley (USA): No changes during heavy training. Pasta up before a big swim. Ryan Stramrood (South Africa): Anything filling really – pasta is great, but so is a roast chicken. Marcy MacDonald (USA): Today for example, I always have a protein shake: whey, 1/2-cup coffee, 1/2-cup whole milk + snack: 2 deviled eggs, yogurt with fresh blueberries. Lunch included meat and vegetables, pineapple and pretzels. Dinner was pork, zucchini, and noodles. Snack included peanuts, but is usually something fun I try to have a good steak at least 2 days before the swim. If I'm hungry, I eat. Eney Jones (USA): In the winter or during heavy training, I do crave more comfort food. Before a major swim or competition, just coffee with cream and water. John Kenny (USA): I eat a bit of everything. Seafood is great. I eat a lot of rice. Kevin Murphy (UK): Roast dinners, but I was never a fussy eater. I took the view that I wanted to conserve my willpower for a swim attempt, not use it up worrying about food or lifestyle. My favourite food just before a major swim is porridge. Matthew Moseley (USA): Lot of scrambled eggs and smoothies. My go-to meal before a race is shrimp with pasta and vegetables. Lori King (USA): My favorite foods during heavy training are peanuts, any kind of meat, and hearty soups. Before a major competition, I find it hard to eat, but I try to eat bananas and bagels with peanut butter and oatmeal. Ingemar Macarine (Philippines): Fatty and oily foods. Bill Goding (USA): Red meats and processed foods. Karlyn Pipes (USA): Dairy does not agree with me. Eggs make me sleepy. Julie Bradshaw MBE (UK): Not really; only alcohol before I have big events. Bridgette Hobart Janeczko (USA): I avoid food that trigger acid reflux as that is usually my biggest issue on the water. However, I discovered Apple Cider Vinegar tablets last year and they’ve made a huge difference on my swims, but I’m still careful what I eat to avoid belly issues. The morning of the swim I only eat a Chobani yogurt and Zone Bar. Otherwise, I stick to my sports nutrition. Anthony McCarley (USA): I have the palate of a 14 year-old boy. I don’t like almost any vegetables. I have a glass stomach, so can’t eat anything spicy. Also, I have allergic reactions to crustaceans. Ryan Stramrood (South Africa): Nope. Eney Jones (USA): I limit my meat intake because I have a high cholesterol. John Kenny (USA): Gluten due to celiac. Kevin Murphy (UK): I like spicy food, but not necessarily before a major swim. Matthew Moseley (USA): Though I love it, try to stay away from heavy Mexican food or pizza. Doug Woodring (Hong Kong/USA): Very sweet things. Rare on desserts. Ingemar Macarine (Philippines): I drink 2 or 3 beers during occasions. Bill Goding (USA): I do drink alcohol. Mostly on weekends, 1-2 only beer. Karlyn Pipes (USA): Not in 24 years. Julie Bradshaw MBE (UK): Yes. Bridgette Hobart Janeczko (USA): Rarely, but since buying a cottage on Seneca Lake, New York, I’ve discovered being surrounded by wineries and breweries mean you tend to entertain and drink more so you can support your local businesses. But if I have a glass of wine 1 or 2 weekends a month, then that is a lot for me. Anthony McCarley (USA): Never hard alcohol. Beer and wine only – and not that often. Ryan Stramrood (South Africa): Yes, more than I should. Marcy MacDonald (USA): Yes, couple glasses of red wine at dinner time, maybe a beer on the weekend, IPA's preferred. Eney Jones (USA): Yes, I drink beer, red wine and my favorite alcoholic drink is prosecco with grapefruit juice, bubbly water and mint. Kevin Murphy (UK): Very little. It makes me go to sleep. Matthew Moseley (USA): Being from Louisiana I like to have fun! Yes. I drink regularly, Lot of white wine, some tequila and vodka. Swimming and partying are my two favorite things. Lori King (USA): Yes, but not before big swims and very little during training. Doug Woodring (Hong Kong/USA): Yes. Darren Miller (USA): I typically carry around my Nalgene bottle and refill it throughout the day. I have had issues in the past with dehydration (I am not a fan of the heat) and, especially in the summer time, try my best to hydrate throughout the day. I noticeably begin having headaches whenever I am not drinking enough. Karlyn Pipes (USA): A gallon. Julie Bradshaw MBE (UK): At least 3 pints. Ellen Shockro (USA): Lots and lots of water - low of 2 quarts, but more often a gallon. Bridgette Hobart Janeczko (USA): I mostly live off of water and coffee as beverages. I drink a lot of water, but probably too much coffee. Anthony McCarley (USA): I don’t track it, but a lot. Ryan Stramrood (South Africa): Only a glass or two – not enough really. My lifestyle battles to allow me to eat and drink appropriately. Work hard, train hard, play hard. Marcy MacDonald (USA): A good 5 glasses. Eney Jones (USA): Not enough, because I live at altitude I try to have a glass of water in the morning and one at every meal. John Kenny (USA): 64 ounces minimum. On hot training days, maybe 2 gallons. Kevin Murphy (UK): Not enough, but too much coffee and tea. Matthew Moseley (USA): A lot. I hydrate very well and always keep a reusable bottle with me at work and while training. Lori King (USA): Not much. I need to do better with this, but about 40 ounces a day. Doug Woodring (Hong Kong/USA): 4-6 glasses per day. Ingemar Macarine (Philippines): No, I just jog 1 hour 3 times a week. Darren Miller (USA): I have always been active in the gym with lifting weights; however, I never fully embraced the lifestyle of lifting that I probably should as a swimmer or runner. At one point in my college years, I was up at 270 lbs., and looked like I should been on the starting [American football] line at Penn State. For a few years in my early 20's, I was mildly obsessed with Strongman competition, and loved cranking out the heavy powerlifting routine. Once I began my venture in endurance sports via marathon running and then marathon swimming, I quickly changed my body structure and lifting routine to maintain a 190-200 lb. frame. Today, I lift in a circuit fashion, meaning full-body workouts, roughly 3 times week as well as endurance training through cycling and swimming. Bill Goding (USA): I lift light weights one day a week for tone, not muscle weight. Karlyn Pipes (USA): 2-3 times a week, but most often two. Julie Bradshaw MBE (UK): Sometimes though have been injured last year since a car accident so I am unable to walk. I did do some light weights etc. Ellen Shockro (USA): Yes, weights, twice per week, sometimes more. Bridgette Hobart Janeczko (USA): I do weight training – high repetitions and lighter weights twice per week. Anthony McCarley (USA): When training, weights and some core work three times a week and push-ups every day. I stop doing weights six weeks before any big swim. Ryan Stramrood (South Africa): Yes, twice a week on average – one session for light, maintenance weights and one session for multi-joint and core. Marcy MacDonald (USA): Now I do use my VASA trainer, when younger, did more. But I use a drag suit for most workouts. Eney Jones (USA): In the off-season, I lift 3-4 times a week. Every year I try something new: Orange Theory, Pilates, CrossFit, CorePower Yoga, or rock climbing. During the season just once or twice a week. John Kenny (USA): Mostly core or TRX twice a week. Kevin Murphy (UK): I always promised myself I would, but I did very little fitness training in the gym. I did go through a period where there was a gym at work and I used to go there when I finished at midnight. Matthew Moseley (USA): When training for a race or big event I do weights 2-3 times a week. Lori King (USA): Yes. 3 times a week for 30 minutes each session. Doug Woodring (Hong Kong/USA): Not weights, but body weight work 3 times/week. Sometimes I do weights a bit if I have them. Ingemar Macarine (Philippines): 500 sit-ups 3 times a week. Darren Miller (USA): I have been much better at working the core lately, and do the full range of machines at the gym, TRX ab routine as well as planks and typical sit-ups on the bench. Bill Goding (USA): I do sit ups and flutter kicks. Karlyn Pipes (USA): Not really. I do yoga two or three times a week and that helps core/planks. Julie Bradshaw MBE (UK): Sometimes. Ellen Shockro (USA): Yes, core stuff every morning out of bed. 200 sit-ups. Pushups, etc. Bridgette Hobart Janeczko (USA): I do a lot of core work – abdominal routines and I’m finding my Tru Swim spa is an excellent core work out. Anthony McCarley (USA): I do some core work three times a week. Ryan Stramrood (South Africa): Yes, I do a variety of planks, sit ups, crunches. Marcy MacDonald (USA): I do short abdominal training after the swim ... and love planks. Eney Jones (USA): I hit a 45-minute core class once a week or do wheels up the incline at the University of Colorado. John Kenny (USA): Stability ball. Kevin Murphy (UK): I always promised myself that I would, but never did. I didn't have the time. Matthew Moseley (USA): Yes. A lot of my dryland is core focused. I'm up to 6 minutes of planks, lots of Russian Twists, leg raises, and sit-ups. Something we added two years ago was boxing which has helped a lot. Lori King (USA): Yes: sit-ups, crunches, planks, TRX. Doug Woodring (Hong Kong/USA): Yes all: sit-ups, crunches and planks. Ingemar Macarine (Philippines): I was stronger in my 20s. Bill Goding (USA): I am 64. I am definitely not as strong as in my 20-50's. I noticed the biggest change in my 50s. Karlyn Pipes (USA): Almost...at age 55, I can still do 3 x 7/8 sets of pull ups. At age 45 it was 10-12. I think I can get back to 10. Julie Bradshaw MBE (UK): Until the last year, I reckon I was a strong and fit although recover slower. Ellen Shockro (USA): Well, not as strong, but pretty strong. I'm careful. Bridgette Hobart Janeczko (USA): No, but in my 20's to early 30's I thought going into woman’s bodybuilding was a good idea so it is unlikely I’d ever be that strong again. I find I can still put on muscle though even with menopause striking, so that pleases me. Anthony McCarley (USA): Heck no, not even close. My shoulders are inches smaller. Ryan Stramrood (South Africa): Yes, I’m 43 years old now and at my strongest, so far. Marcy MacDonald (USA): I am pretty close, but I am very careful about posture now. Eney Jones (USA): No, I don’t think I am as strong, but I have maintained fairly well. John Kenny (USA): Give or take. Maybe lost a few percentage points. Kevin Murphy (UK): I was in my 50's, but not now in my 60's. Matthew Moseley (USA): I may very well be in the best shape of my life right now. I'm not as strong, but I'm better trained. Lori King (USA): No and yes. I feel like I have a better feel for the water now then I did in my 20's and, because of that, I feel stronger. But the shape I was in and my ability to recover back then was better. I had no responsibilities so I was able to swim and take care of myself, whatever I needed. 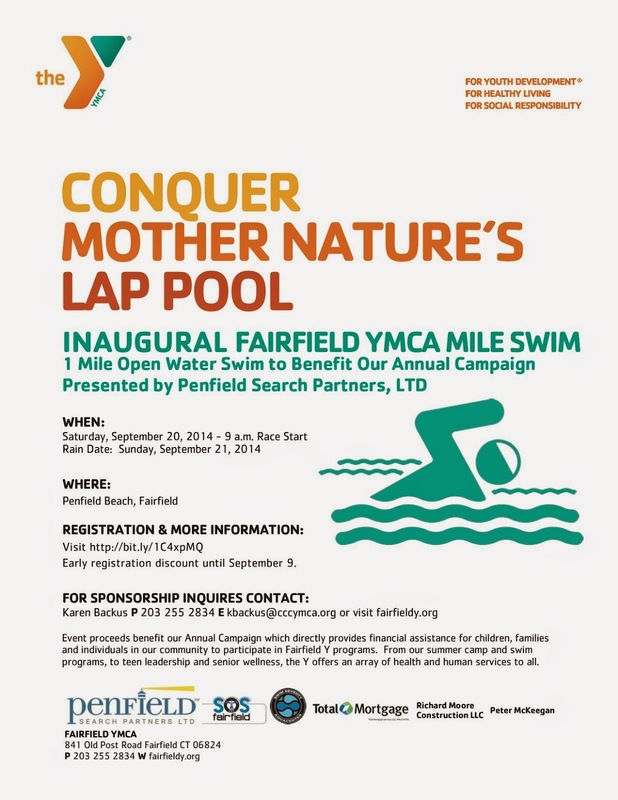 Now, I get done swimming and I have the kids, work and family life to run. Doug Woodring (Hong Kong/USA): Yes, roughly. But I do less weights, so I can’t do the weight that I used to be able to do. Ingemar Macarine (Philippines): No, but I read the Bible every morning. Bill Goding (USA): I do not meditate. Karlyn Pipes (USA): Yes, three-four times a week. Julie Bradshaw MBE (UK): I am a thinker and always see myself doing ‘stuff’. Ellen Shockro (USA): Yes, I meditate. Bridgette Hobart Janeczko (USA): No. Anthony McCarley (USA): Not formally. Ryan Stramrood (South Africa): I was asked this recently and I said no becaause I don’t officially meditate. But upon reflection, before a big challenge, I definitely go inwards and get my head in the right space. It is probably a form of meditation. Marcy MacDonald (USA): Not in the classic way. Eney Jones (USA): I don’t meditate on land, but I try to meditate when I swim. I focus on dropping my energy and increasing my power. I also try to slow my brain waves and not give my thoughts much merit. Kevin Murphy (UK): No, but I do find that I can put myself into a semi-trance when the going gets tough. Matthew Moseley (USA): Yes. Mental conditioning is one of the three legs of my stool: training, nutrition and mental conditioning. When getting ready for a swim, at least 2-3 times a week for 15-20 minutes. I even have a mental conditioning coach, Mark Williams. Lori King (USA): No, I get too anxious waiting for something to happen. Doug Woodring (Hong Kong/USA): No. Ingemar Macarine (Philippines): Yes, I visually my future swims. Darren Miller (USA): Absolutely. It is a staple in my training as well as in the workforce. It is hands down the most vital tool I possess for whatever I am training for in life. My whole premise of the ‘Third Boat’ (my core speech during my engagements) is about visualizing those who inspired and motivated you in life, and seeing them as a powerful tool to propel you to greatness. Bill Goding (USA): Occasionally visualize. Julie Bradshaw MBE (UK): Yes, especially when I have set myself a big goal. Ellen Shockro (USA): Not really. Bridgette Hobart Janeczko (USA): Yes. I’ve studied psycho cybernetics as I was introduced to it in my senior year of high school by my then-coach, Tom Meade. He also recently introduced me to EMT when I was training for the English Channel and Finger Lakes Challenge. Anthony McCarley (USA): Depends how it is defined. Yes, by my standards. No, by other people’s standards. Ryan Stramrood (South Africa): I suppose I do – all very unstructured and simply self-learnt in some of the tough situations I have been in. Depending on the challenge ahead, I do visualize. Marcy MacDonald (USA): Not your classic visualization, but I suppose so. 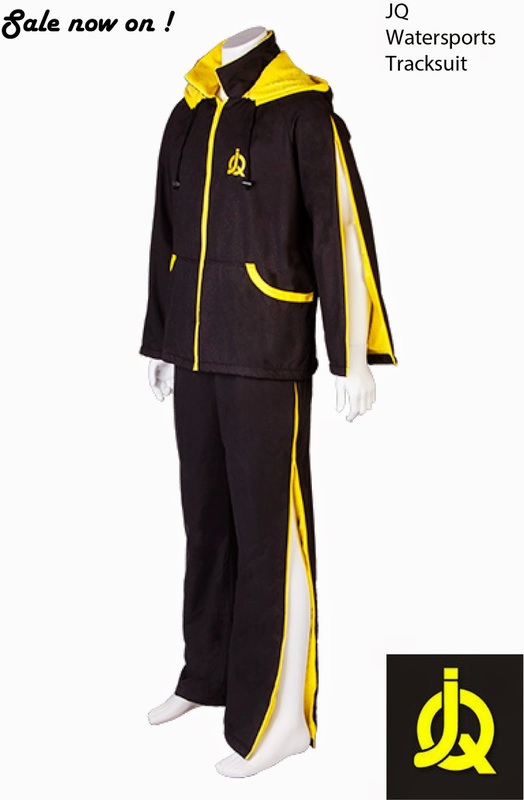 Eney Jones (USA): See previous answer. John Kenny (USA): Not purposefully. Kevin Murphy (UK): I used to think of stories I did as a journalist - and stories I should have done. Lori King (USA): Yes. Sometimes, when I am doing long sets and building, I will visualize the last 500 as the end of a swim. Doug Woodring (Hong Kong/USA): No, but I have an amazing new plan for this with technology. Ingemar Macarine (Philippines): My favorite food and massage after training. Darren Miller (USA): Rainy days out on the water. The tougher/rougher/colder the conditions, the happier I am in the end. Looking back on my toughest swim in the Tsugaru Channel, I learned more about myself in 16 hours than I did in the prior 29 years of my life. Bill Goding (USA): I solve all my problems in my mind and the world. Karlyn Pipes (USA): Being with kids and inspiring them or swimming with dolphins on an open water swim with my adult friends. Julie Bradshaw MBE (UK): Achieving and feeling good. Ellen Shockro (USA): I go into an altered state - very relaxing. Bridgette Hobart Janeczko (USA): The freedom and flexibility of open water. Swimming removes me from my work, computer, emails and makes me totally unplugged. I do a lot of pace training and it allows me ‘me’ time to just reflect on the days, tasks, etc. I always come out feeling more at peace and in balance. Anthony McCarley (USA): Being able to function normally after a long workout. Ryan Stramrood (South Africa): So rarely get to train in a relaxed, no pressure environment – I’m always late for something and trying to‘rush a 10 km pool session is no fun. So when there is zero time pressure, I enjoy the time inside my head. Marcy MacDonald (USA): Through the years, I'm learning to appreciate the water. Eney Jones (USA): Swimming makes me happy. John Kenny (USA): Thinking about winning and going fast. Matthew Moseley (USA): I like working out with good friends and to joke and laugh. It makes it much easier and the time go by faster. Lori King (USA): When I'm nervous about a set and I feel great during it. Also, the end of any workout. I feel totally accomplished. Doug Woodring (Hong Kong/USA): No slow people in the lane. This is an issue in all of Hong Kong’s public pools which are totally mis-managed for proper training. Luckily, I have a 50m pool to use which is not public, and people adhere to lane etiquette and rules. Also not hitting trash in the sea makes me happy. Ingemar Macarine (Philippines): Lack of motivation. Darren Miller (USA): When my right shoulder tendonitis flares up from not keeping a consistent physical therapy routine. 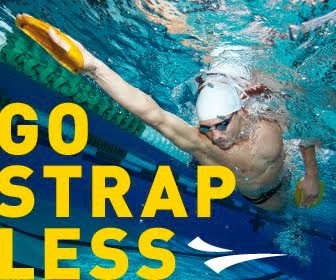 Bill Goding (USA): Constantly trying to do the right stroke form over and over again. I will daydream and revert to bad form. Karlyn Pipes (USA): Missing warm up. Everything else is all good as I am trying my best. If the clock doesn’t like me, I stop looking at it and swim by feel. 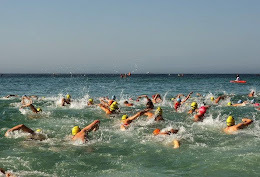 Julie Bradshaw MBE (UK): When there are too many people in a lane when swimming. Ellen Shockro (USA): If people or boats bother me. But I try not to let it happen. Bridgette Hobart Janeczko (USA): The YMCA and the 85°F water and 90+°F air. I try to avoid it as much as possible. But that is about it. Anthony McCarley (USA): Lack of pool time or space. And people with poor pool etiquette. Ryan Stramrood (South Africa): Depends on training conditions – if in the cold, I get annoyed when I allow the cold to get the better of me - which happens often. 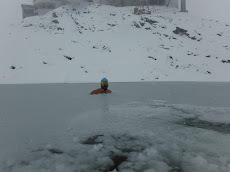 But on average, it is usually the lack of cool or cold water to train in, mostly hot pools, and related time pressure. Marcy MacDonald (USA): When I run out of time. Eney Jones (USA): When a coach tells me to go harder. Going harder increasing your effort does not make me faster. I need to clear my head and manipulate my body position. John Kenny (USA): Going slow, or getting beat. Kevin Murphy (UK): Being interrupted. Matthew Moseley (USA): I don't like it when coaches give me sets they know I can't make, or where I can't see any reason or gain from the workout. Lori King (USA): When I feel great the day before and I get in feeling fine, but then doing sets and I am not feeling good...feeling off and struggling for no apparent reason. Doug Woodring (Hong Kong/USA): Bad lane etiquette like hanging on walls in the wrong place, pushing off at the wrong time. This happens when people are doing their own workouts within the lane – not synchronized to all one workout. Ingemar Macarine (Philippines): I repeat on my mind Book of Psalms, Chapter 23. Darren Miller (USA): I have a mantra that every breath is a gift, and to never take today for granted. There is no decision whether to carry on, it is something that must be done without question. Bill Goding (USA): Don’t let it bother you when you get beat by a 12-14 year old girl. Karlyn Pipes (USA): Have fun. Share with others. 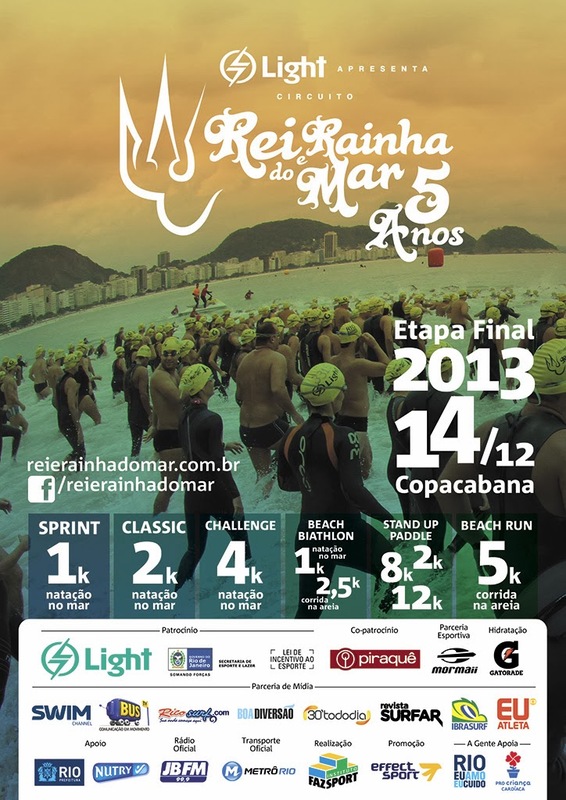 And most importantly...it's just a stupid swim race. It's not life or death. Julie Bradshaw MBE (UK): Keep going. You can do it. Ellen Shockro (USA): Do the best that you can do - focus on one thing. Bridgette Hobart Janeczko (USA): Safety first, but otherwise not much. I prefer to mingle with folks and just go with the flow and not overthink it. I try to stay relaxed and enjoy my journey. I try to stay in the moment a lot and take it all in, as well as swap out focusing on topic. I switch it up on my 30-minute feeds. 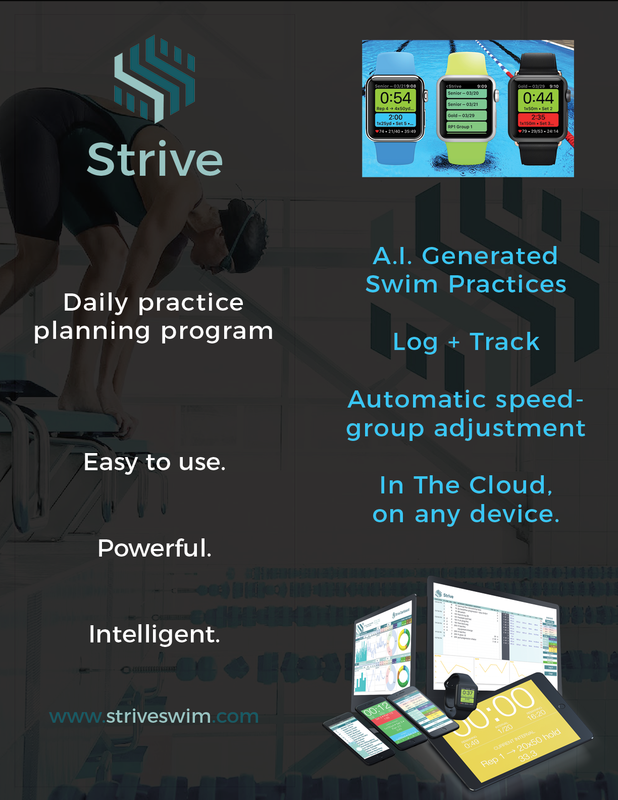 Anthony McCarley (USA): I review my swim log. It reminds me of all I have done to prepare. It is (usually) an emotional boost. Ryan Stramrood (South Africa): HTFU - Harden the F*&k Up. Positive mind is everything. 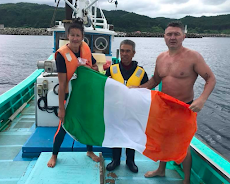 Marcy MacDonald (USA): I have no excuses to get out, I'm not hurt, you've done more, you've been in colder water, everyone on the boat is here to help, you are safe, and do it for the people who can not. Eney Jones (USA): I tell myself that I need to enjoy myself and remind myself how lucky I am to do this swim. John Kenny (USA): Not too much. Just go do it, since it's become more of a habit. 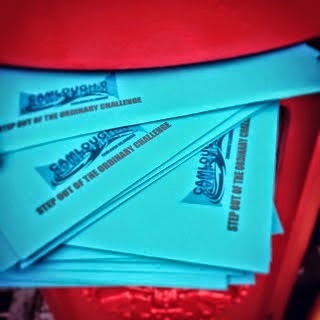 Kevin Murphy (UK): Who's stupid idea was this? But you've got yourself into this mess, so now do it. Matthew Moseley (USA): I have several mantras I go through in my head: Deep breathes. Steady rhythm. Drive and glide. or Light as a feather. I also try to be happy, smiling and encouraging people around me. 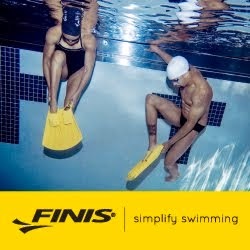 Lori King (USA): Just start swimming and you will get comfortable. Just get through the first 2.5 hours and you will be fine. Doug Woodring (Hong Kong/USA): Nothing much. But I try to feel well-stretched and adrenalated before a pool swim...not so much for open water – as that’s different than a quick sprint. Darren Miller (USA): I have no preference. Bill Goding (USA): Early morning. Karlyn Pipes (USA): 8 am open water, late afternoon for pool. 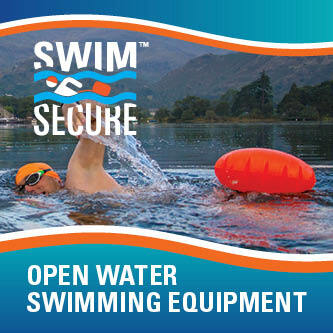 Julie Bradshaw MBE (UK): Nowadays prefer mornings, though I did used to swim morning and evening. Ellen Shockro (USA): Morning. Early as possible. Bridgette Hobart Janeczko (USA): Mornings for sure. 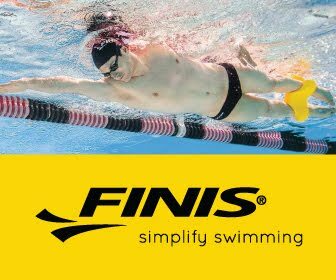 Anthony McCarley (USA): I prefer mornings, but I train at all times because you never know what time of day you’ll need to be at your best during a swim. Ryan Stramrood (South Africa): Mornings. Eney Jones (USA): Mornings before dawn while the world softly sleeps. Matthew Moseley (USA): Mostly mornings. Lori King (USA): Mornings always. The more the day goes on, the harder it gets, especially with the kids. Doug Woodring (Hong Kong/USA): Afternoons and evenings. Well done with early mornings. But, if in the morning - not before 7 am - then always feel good afterwards for the day. Ingemar Macarine (Philippines): Open water. Darren Miller (USA): Rough, cold, gnarly conditions are my favorite – builds character. 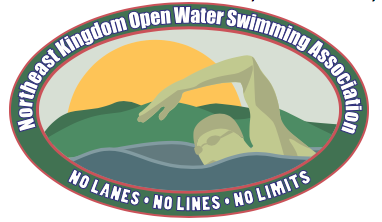 Bill Goding (USA): Pool for repetitive set, open water training, warm water. Karlyn Pipes (USA): Mix of it all, but nothing COLD. In the winter they do not heat the pool in Kona, so I sometimes start with a wetsuit on and dump it later. Julie Bradshaw MBE (UK): A combination of all. 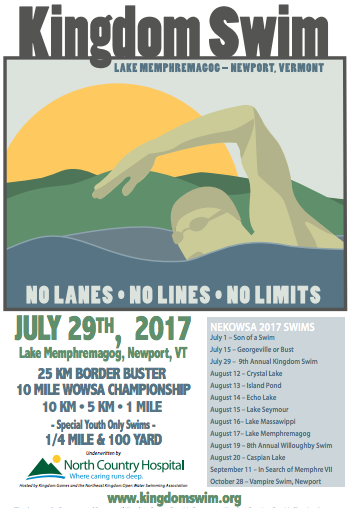 Ellen Shockro (USA): Prefer pool and open water, also lakes. 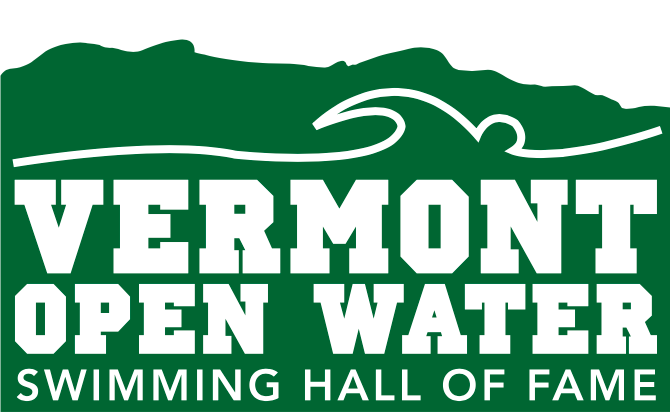 Bridgette Hobart Janeczko (USA): Open water first, then my Tru Swim Spa, then pool. Pools near me are hard to get space, and are way overheated. I prefer water low 70°F's and below. Air the same. Anthony McCarley (USA): I take what I can get. You need all of the above. 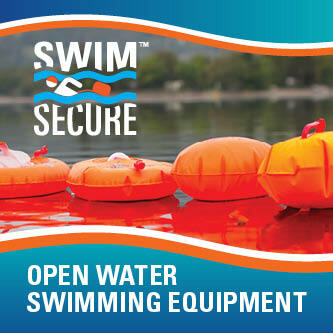 But I rarely have access to open water. My one advantage is my abalone diving experience – I have spent a ton of time immersed in the ocean in all conditions. 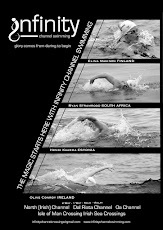 Ryan Stramrood (South Africa): Open water that is cool - not freezing. 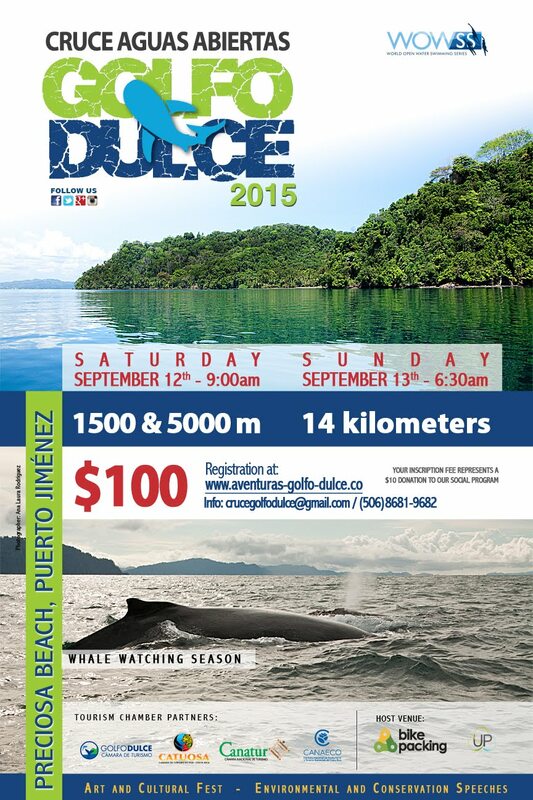 Marcy MacDonald (USA): Mostly pool and on weekends, the open water. 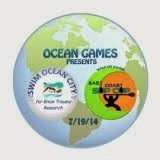 Eney Jones (USA): A warm ocean or an outdoor saltwater pool in a snow storm in the middle of winter. John Kenny (USA): With a group, regardless of pool venue. With a fast group in water about 72°F. 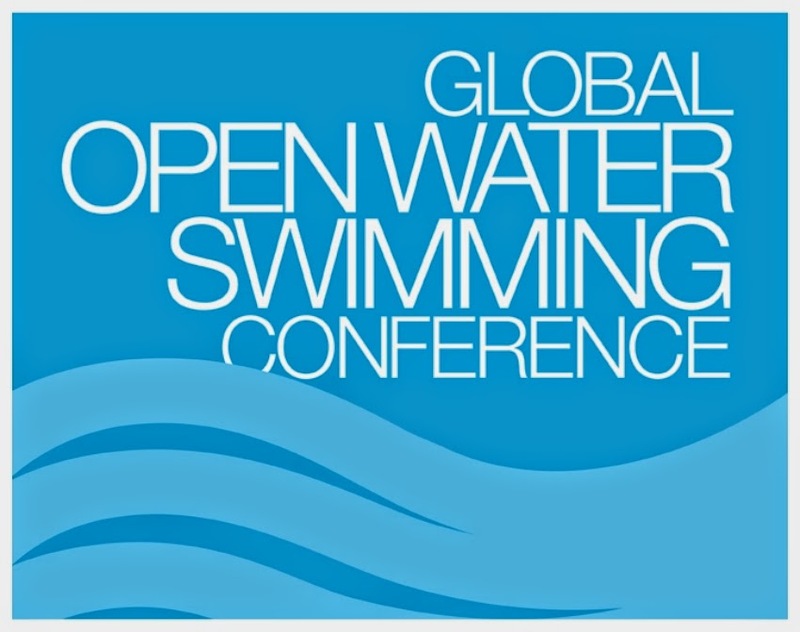 Kevin Murphy (UK): Open water 16°C or above. 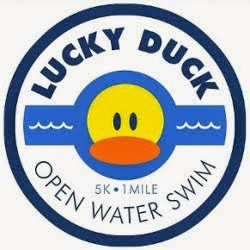 Matthew Moseley (USA): Open water, but this is tough in Colorado. 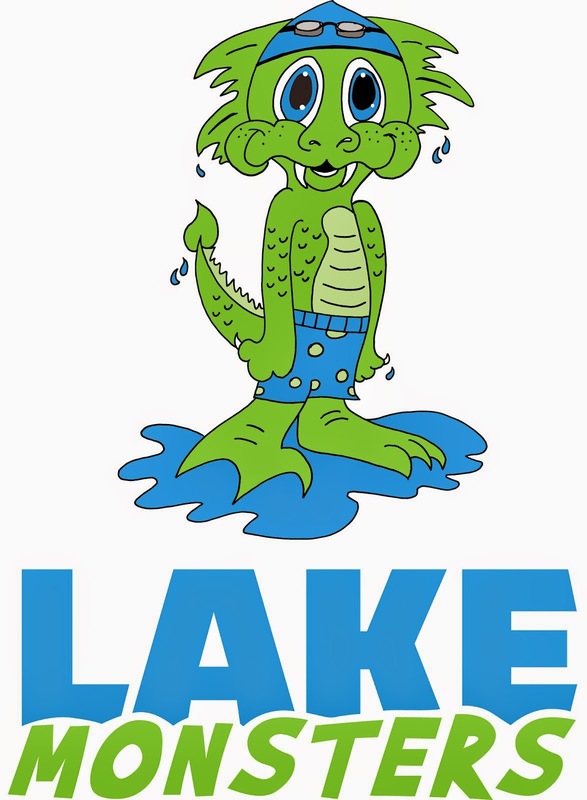 Lori King (USA): In the pool, I like the water to feel cool when I start because I know it will get a bit warmer without feeling like a bath tub. I love long course. 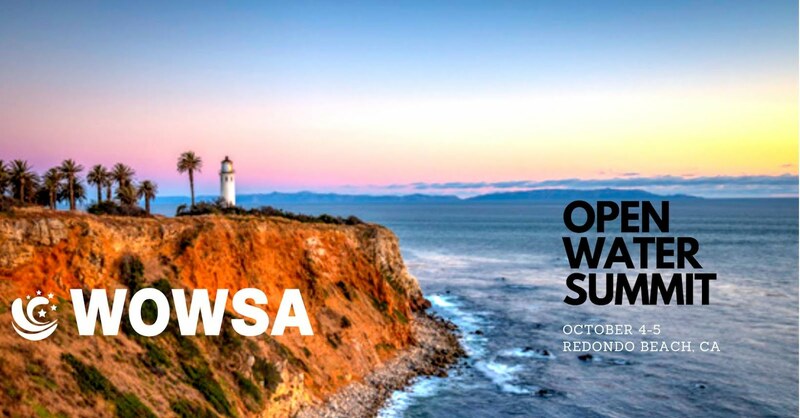 In open water, I like swells and having a bit of roughness. It allows me to get a feel for the water in bad conditions. It's figuring out how to move with it. 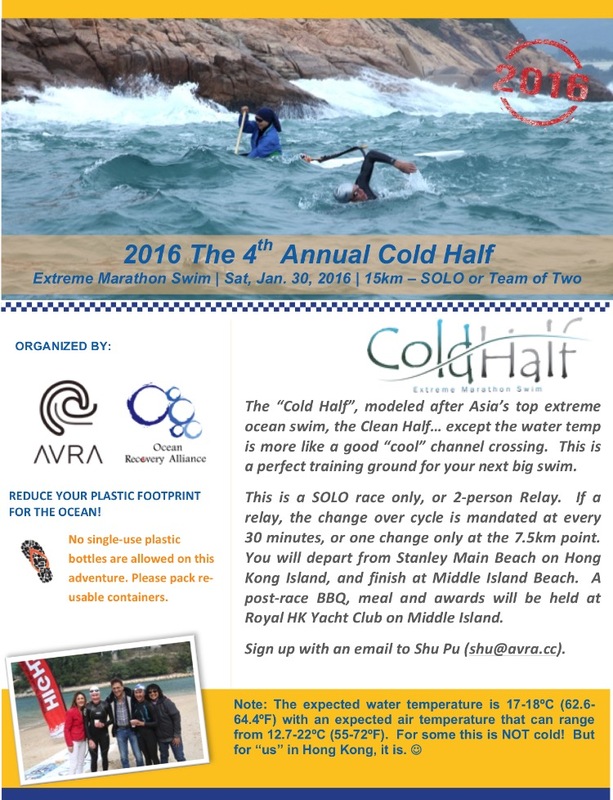 Doug Woodring (Hong Kong/USA): No cold water for sure. 50-meter pool is best. Ingemar Macarine (Philippines): Read the Bible and apply sunblock. Bill Goding (USA): I have no rituals. Karlyn Pipes (USA): Eat, drink water and go. Julie Bradshaw MBE (UK): Not really, I just do it. Ellen Shockro (USA): No ritual - just get to it. Bridgette Hobart Janeczko (USA): No – I rarely give any thought to my workout, just focus on getting there, meeting up with folks and do whatever they are doing. 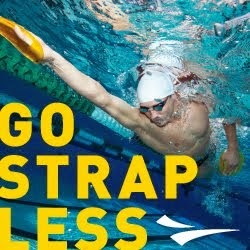 Then I stay on and do pace swimming. I have more of a routine in my swim spa and I mix it with swimming, kicking, running, Pilates-type moves...works core well. Anthony McCarley (USA): No eating or drinking anything ahead of time (or during any swim under 10 km). Ryan Stramrood (South Africa): I don’t usually have time to think about a ritual – get to the pool, train, get out, back to office, fetch kid, etc. Marcy MacDonald (USA): I write out most workouts, have my coffee and go. Eney Jones (USA): I usually have been up a few hours before morning practice so I try to not talk too much. I sit in silence in the wee small hours of the morning before I get to do what I love first. John Kenny (USA): Eat plenty and drop the deuce. Not much else is relevant. Kevin Murphy (UK): I'm known for taking my time putting on Vaseline and fixing my goggles. Often, I was trying to hang it out as long as possible. Matthew Moseley (USA): Not really. Lori King (USA): I stretch and try to clear my mind. I try not to look too long at the workouts ahead, especially on Individual Medley days when it is long course..
Ingemar Macarine (Philippines): 12-15 hours a week. 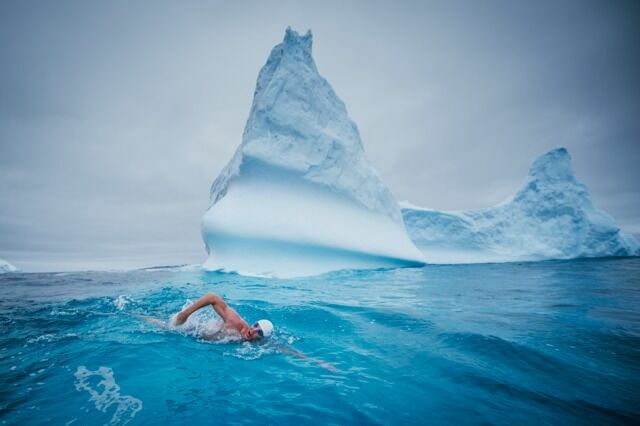 Darren Miller (USA): 6 days: 3 double days + 2 long swim days and, at the height of my training, one really long day. Bill Goding (USA): 15,000 - 20,000 meters per week regularly. Will up that for specific swims. Karlyn Pipes (USA): 15-20 hours. Julie Bradshaw MBE (UK): Each day. Ellen Shockro (USA): 1.5 hours a day, 6-7 days, plus weights plus walk/run. Bridgette Hobart Janeczko (USA): It varies so much due to my work schedule. My target is usually 12-15 hours in the water plus land, but it is a crap shoot. If I hit a 20-hour week of training, then I consider myself very blessed, but it is rare especially these days. Anthony McCarley (USA): Swimming: 2 – 3 days per week / 6 – 12 hours per week. Ryan Stramrood (South Africa): 6 days a week, 2-3 hours a day. Marcy MacDonald (USA): Six days at 7500 yards. Eney Jones (USA): 7. I would add another day if I could. John Kenny (USA): 25 - 30 hours. Kevin Murphy (UK): My rule of thumb was 21 miles per week rising to 42 miles per week during those holiday periods when I wasn't working. I could not set myself a daily schedule because of my shift work. Matthew Moseley (USA): 6 days of at least 1.5 hours, but 2.5 hours on days with dryland. 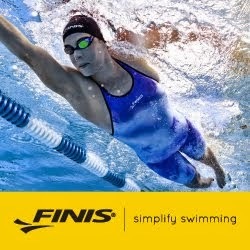 Lori King (USA): About 17 hours per week when long course meters. Doug Woodring (Hong Kong/USA): I do 1-2 things per day like swim, dryland, paddle, hike. Always, if I am not traveling. 30 minutes – 3 hours per day, but longer on weekends. 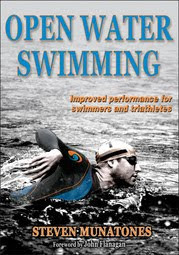 Darren Miller (USA): Open water training with intermittent sprints and pull buoy sets. 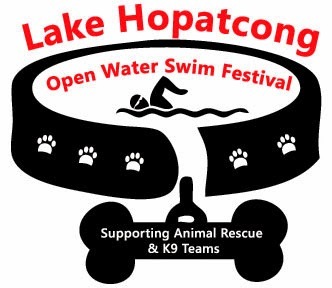 I trained for all of my summer marathon swims in a 0.75-mile lake in the summer; hot pool in the winter, and enjoyed the fact I could plan it like a pool when it was open water; meaning I could have different “laps” of the lake be different sets. Bill Goding (USA): Distance. I am not a sprinter. Karlyn Pipes (USA): One that feels easy but I get a great result. LOL. 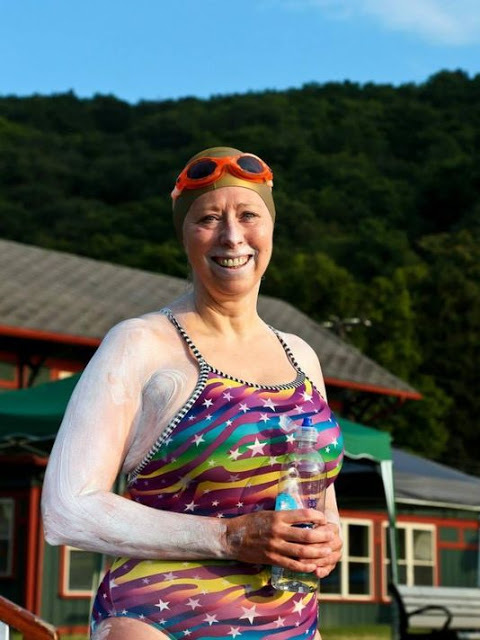 Julie Bradshaw MBE (UK): Open water butterfly! Ellen Shockro (USA): Long sets - like 5 x 1000. Bridgette Hobart Janeczko (USA): Pace swimming. Anthony McCarley (USA): Swims when not doing heavy training. Ryan Stramrood (South Africa): Losing myself and losing count on long slow sets. Marcy MacDonald (USA): It has changed so much through years and having a good message. Consistency is my key. Eney Jones (USA): Lots of pulling with the EneyBuoy where I can change the buoyancy and make it hard or easy. I love variety. I love toys. I love sprint practices. The only practice I don't like is where the interval changes and you are so busy doing math in the front of your brain you don't get to zone out. 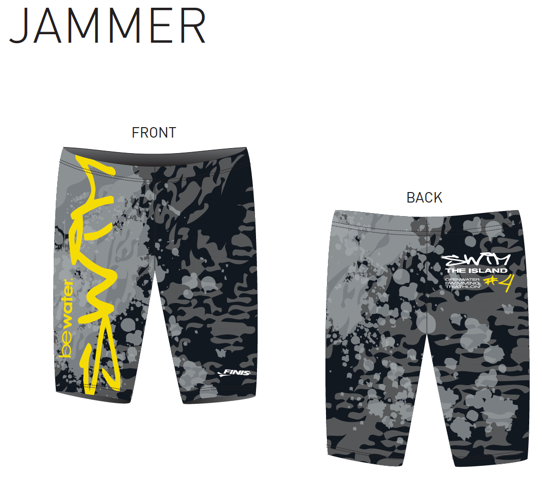 John Kenny (USA): Anything with variety like a swim/run combination. Kevin Murphy (UK): Three hours in the open water. Matthew Moseley (USA): One that is purposeful and builds. 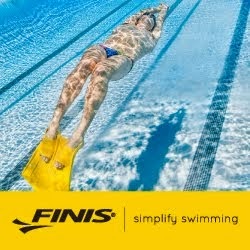 I like a gentle warm-up, some kicking, stroke work, mix in some speed, then finish with some power distance. Going fast to go far. Lori King (USA): I like sneaky sets (i.e., sets that seem short and go by fast, but end up being 5,000). Doug Woodring (Hong Kong/USA): If outdoors, one in good weather and water. 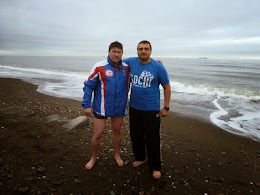 Ingemar Macarine (Philippines): A successful swim. Darren Miller (USA): My beautiful 10-month old baby girl, Reagan Elizabeth, when my wife, Alli and I are pursuing an adventure together and thoughts of those who are on my Third Boat during my endurance journeys. Bill Goding (USA): Being healthy. Karlyn Pipes (USA): Dolphins, sunsets, my new husband swimming by my side (with fins on). Ellen Shockro (USA): Lots - I smile a lot. Bridgette Hobart Janeczko (USA): My furry kids and when the dogs join my boat when I swim next to it I find myself swimming faster with a smile. Hearing my crew giggling on my crew boat. Just hanging out on the water watching the water slam the sea wall – just so peaceful. Anthony McCarley (USA): My kids. Ryan Stramrood (South Africa): My son, my girlfriend and when I am a few kilometers ahead of my mates on the day. Marcy MacDonald (USA): Other people smiling. Eney Jones (USA): Seeing all the people I love and care about in my life, and kindness. John Kenny (USA): Impressive geographical features. Julie Bradshaw MBE (UK): When others smile and I have helped others achieve their goals, whatever they may be. My dog when she was alive. Kevin Murphy (UK): A job well done. 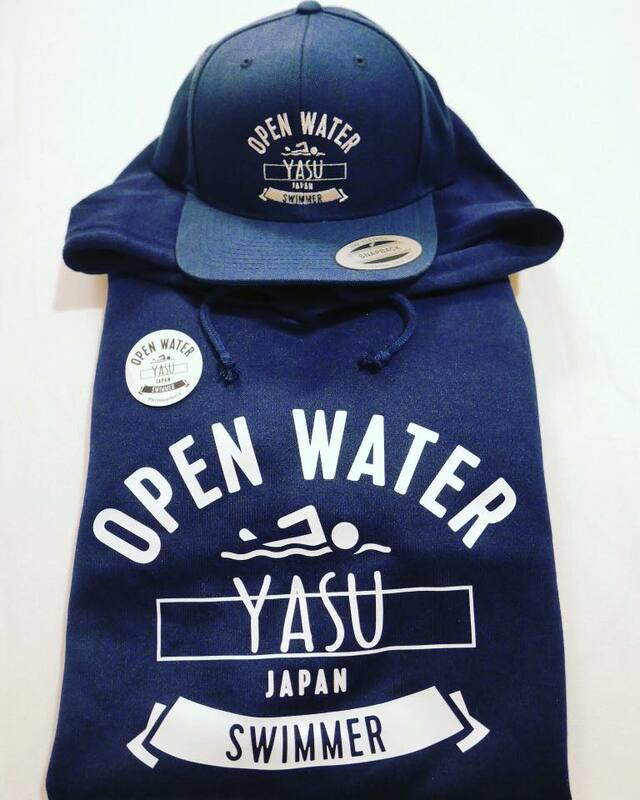 Matthew Moseley (USA): Being in open water with my best swimming friends and crew. When I swim, I often consider gratitude. How grateful I am to have the ability and chance to be swimming. I'm grateful for what it has brought to my life. Being grateful makes me smile. Lori King (USA): My kids being healthy. Doug Woodring (Hong Kong/USA): Creative surprise. Ingemar Macarine (Philippines): Quality time with family and friends. Darren Miller (USA): Same as above. Bill Goding (USA): Joking with my swimming friends. Karlyn Pipes (USA): Silly things the kids I train with say. I know I am blessed to be able to have hundreds of kids to swim with over the past 22 years. Ellen Shockro (USA): Many things make me laugh. Bridgette Hobart Janeczko (USA): Hanging with my friends and hubby. Ryan Stramrood (South Africa): Good comradery and banter between mates sharing the training pain. Marcy MacDonald (USA): Simple silly things and jokes...like "What did the snail say when he took a ride on a turtle? '...give up...'weeee'. I know corny stuff. Eney Jones (USA): Intelligent humor, other people laughing, and animals having fun. Julie Bradshaw MBE (UK): Funny people and animals. Kevin Murphy (UK): Black humour. Matthew Moseley (USA): A lot. My family laughs a lot and we try to keep our daily lives laughing. 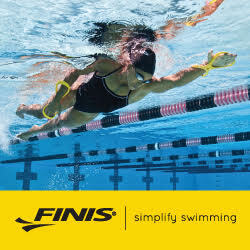 Swimming provides a freshness in my daily life that is not there when I swim. After training and being in shape, I feel grateful to be alive and that makes us all laugh more. Lori King (USA): Physical comedy. Doug Woodring (Hong Kong/USA): Robin Williams. Ingemar Macarine (Philippines): Betrayal of trust. Darren Miller (USA): Seeing people who ‘run the hamster wheel’ every day of their lives, not making any changes to find the happiness they desire due to a lack of confidence to pursue the unknown. Bill Goding (USA): Not much makes me sad. Probably not being able to swim. Julie Bradshaw MBE (UK): People who aren’t truthful, are deceitful and suffer from jealousy of others. Ellen Shockro (USA): I am rarely sad. Bridgette Hobart Janeczko (USA): Lately it has been family issues – illnesses, deaths and handling things that go along with it, but overall, I try to stay positive and focus only on things I can change. Anthony McCarley (USA): Unethical people. Selfish people. 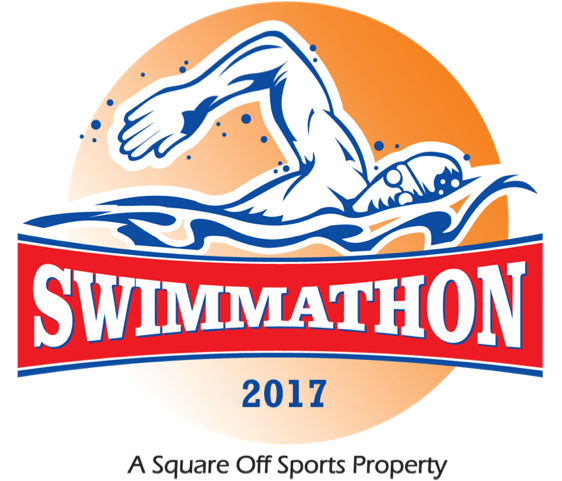 Ryan Stramrood (South Africa): When I realize I’ve put a swimming challenge and related training ahead of time with my son. Marcy MacDonald (USA): People who exaggerate and are mean. Eney Jones (USA): Hatred, hostility, and a lack of caring. Matthew Moseley (USA): People who are too serious or have lane rage. People who don't believe in The Dream. Lori King (USA): Watching the news. Doug Woodring (Hong Kong/USA): Trump. Ingemar Macarine (Philippines): An unsuccessful swim. Darren Miller (USA): People who complain that life is difficult, and have no clue how brutal life could become. Bill Goding (USA): When I get lazy (and we all do), that frustrates me. Julie Bradshaw MBE (UK): Injuries. Bridgette Hobart Janeczko (USA): There are often not enough hours in the day to get what is needed done, plus train. Anthony McCarley (USA): Less things as I get older. Ryan Stramrood (South Africa): When my intentions are misconstrued and misinterpreted. Marcy MacDonald (USA): Washington D.C.
Eney Jones (USA): When I have a better idea usually having to do with protocol or organization and I am not listened to. Kevin Murphy (UK): I was never happy with what I'd done. Matthew Moseley (USA): Poorly designed workouts. Lane mates who aren't paying attention to the set. People who swim in front of you who are clearly slower. I also get frustrated when I don't eat well. Lori King (USA): People demanding attention, but not wanting to put in the work. Doug Woodring (Hong Kong/USA): Slow people and lack of response. Ingemar Macarine (Philippines): Need to preserve the marine environment for my 2 kids and future generations. Darren Miller (USA): The drive to motivate and inspire others to find their passions in life, and leverage them to make the world a better place. Bill Goding (USA): I don’t get too hung up on being super competitive. I get motivated for my health through swimming. When I see others my age and how physically in bad shape they are, I’m motivated not to be like that. Karlyn Pipes (USA): I love to MOVE and I love to be outside. And, I love to share those experiences with others...so training with friends (new and old) is the best. Julie Bradshaw MBE (UK): Achieving – being the best I can whatever that may be and in whatever context, not necessarily in sport. Ellen Shockro (USA): Love. Also, I like goals. Bridgette Hobart Janeczko (USA): I find swimming with purpose or any task with purpose drives me. 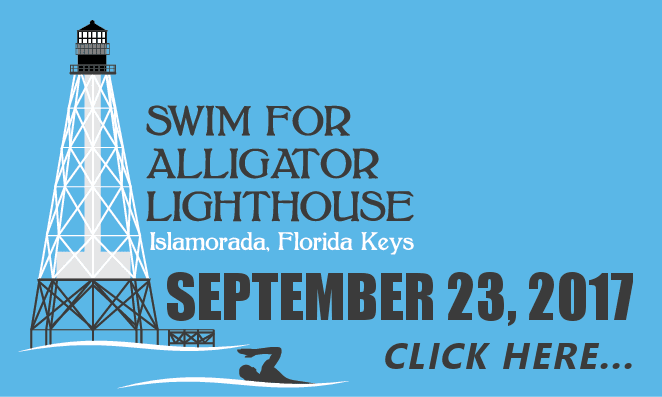 I prefer to swim for special causes as it motivates me more and more as we pull folks together to form a team for a common cause, and then raise funds or awareness as a team for that cause. Anthony McCarley (USA): Too personal to share. Ask me again after I turn 60 and I might open up. 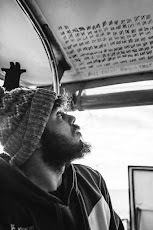 Ryan Stramrood (South Africa): A desire to push a bit further and to learn more about how the mind is designed to keep us inside a comfort zone. Marcy MacDonald (USA): I don't really say this to myself, but something deep drives me to challenge myself to the next level of discomfort, mostly because as I get older, I know it's coming to a close. Eney Jones (USA): Creating or doing something in a new way or the break of a new day that holds boundless possibilities. Kevin Murphy (UK): I always wanted to go one better than what I'd done. That motivated me in both swimming and in my working life as a journalist. Matthew Moseley (USA): When I zero in on a swim that is beautiful and no one has ever done. 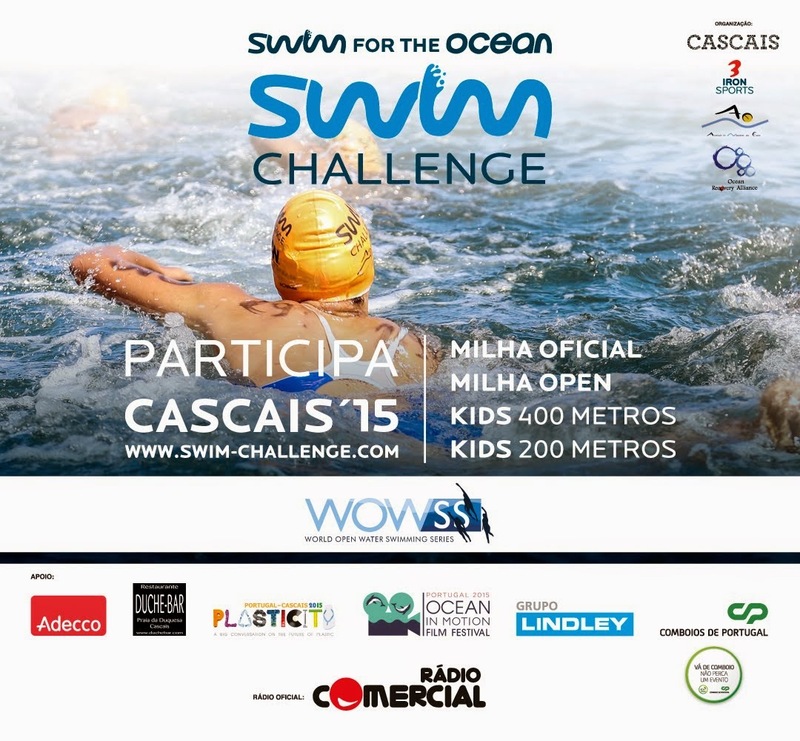 But the biggest motivation comes with pairing my swims with an environmental organization who protects water. Then I feel it's a lot bigger than myself. It's very motivating because the fear of not finishing is much greater because I don't want to let them down. I'm motivated by swimming for something greater than myself. Lori King (USA): It's personal, but it's there. Doug Woodring (Hong Kong/USA): The challenge to stay somewhat competitive among my peers or those younger. Ingemar Macarine (Philippines): Matthew Webb. Darren Miller (USA): My grandmother. She taught me that success has nothing to do with your pocketbook, but how you utilize the gifts that God gave you to assist the less fortunate. 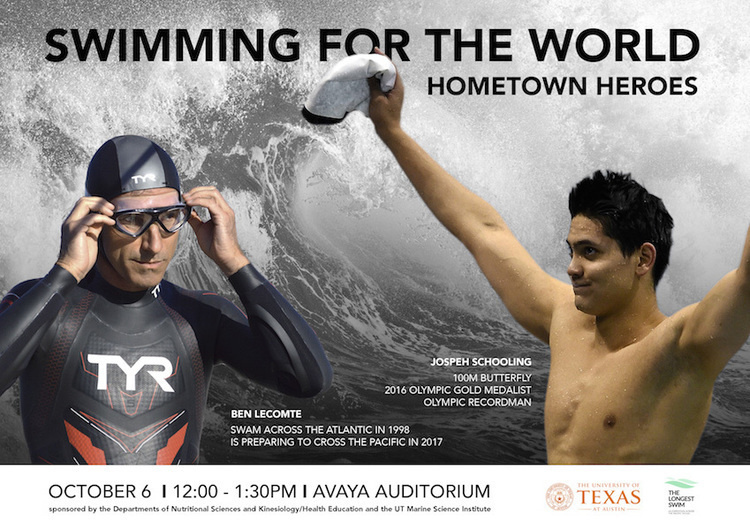 My hero in the swimming world is Craig Lenning – guy is a leader and a warrior in every sense of the word. Bill Goding (USA): Heroes? Being retired military, those who have lost their lives while serving. Karlyn Pipes (USA): My mom Adrienne. She’s still training, swimming, going off the blocks at 83. This year she hired a personal trainer and is hitting the gym religiously. Julie Bradshaw MBE (UK): No. Ellen Shockro (USA): Not really one person. Bridgette Hobart Janeczko (USA): Not a specific person, but I think folks volunteering time and risking their lives as first responders or to go to war are the folks to admire and look up to. Anthony McCarley (USA): Benjamin Franklin and Leonardo da Vinci. 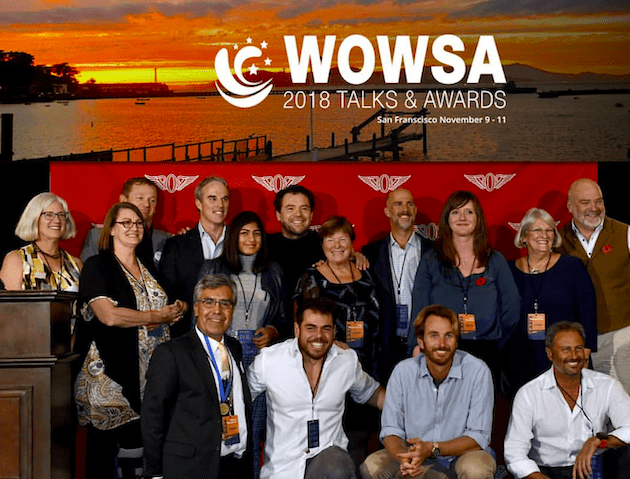 Ryan Stramrood (South Africa): My heroes are those who set really big goals and figure out how to achieve them – swimming, adventure, business and life in general. Marcy MacDonald (USA): Not really. 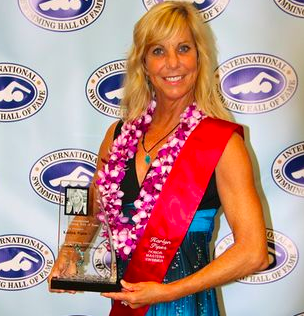 Eney Jones (USA): Duke Kahanamoku, “Hawaiian essence cloaked in humility”. My father world record holder Bumpy Jones for combining training, family and a medical practice. My second cousin Bill Goding for being an amazing channel swimmer, but more importantly being a kind man. John Kenny (USA): Myself, 10 years from now. Kevin Murphy (UK): Matthew Webb. Matthew Moseley (USA): I have many heroes in different parts of my life: Martin Strel for swimming because of the way he has dreamt up all these crazy swims. I worked closely with Hunter Thompson who had been a literary hero. The experience also taught me not to get too close to your heros. Huey P. Long in politics. I also have a great admiration for James Carville. For living life to the fullest, Gerry Goldstein, the former president of the National Association of Criminal Defense Attorneys. He is a super successful attorney, skis 100 days a years and bikes and he has a lot of fun and entertains friends. Lori King (USA): There are many. The people who do ordinary things and make extraordinary differences in people's lives. The people who are not recognized, but dedicate their lives to the service of others. Doug Woodring (Hong Kong/USA): Well, I wish I could re-invent and be a Kai Lenny, the best ocean athlete out there now. Ingemar Macarine (Philippines): Will still be swimming for clean seas. Darren Miller (USA): I want to continue to live life the best way I possibly can, and raise my children to impact the lives of others through their example. Bill Goding (USA): Old, but still swimming. Karlyn Pipes (USA): Speaking to large and small audiences that it is never too late for a DO-OVER. 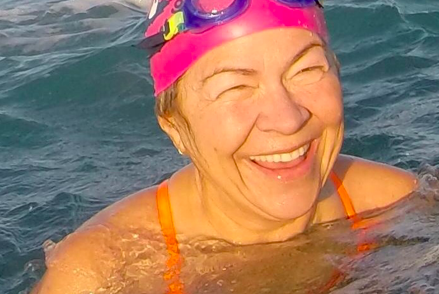 Julie Bradshaw MBE (UK): Still swimming. Ellen Shockro (USA): Still swimming, I hope. Bridgette Hobart Janeczko (USA): My goal is to retire within 10 years and during that time I’ve started a non-profit organization to manage different events to raise money for multiple charities, and I enjoy motivational speaking. My goal is to work towards doing this more full time as I retire. I see myself downsizing home and moving back to the New York Finger Lakes. Anthony McCarley (USA): Being active physically, mentally, emotionally. Trying to get better. Ryan Stramrood (South Africa): Focus on family, interspersed with many great, hard, sometimes dangerous adventures. 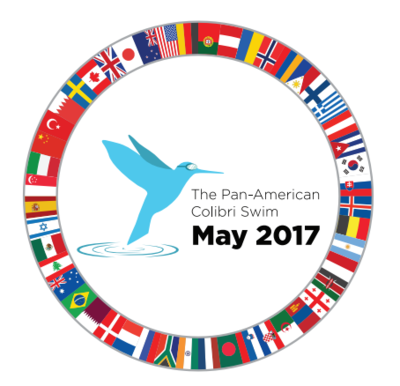 Marcy MacDonald (USA): I am hopefully still swimming and seeing my patients, and working with the next generation of open water swimmers. Eney Jones (USA): Happy, healthy and lighthearted. Kevin Murphy (UK): Being a mentor to new swimmers via The Kings Swimmers. 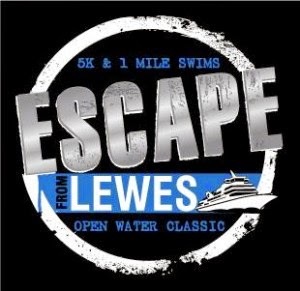 I also want at least two more English Channel swims. 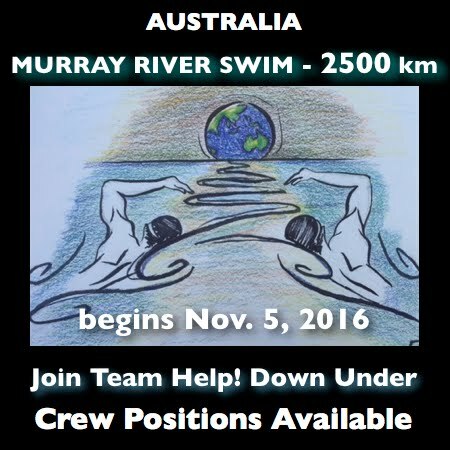 Matthew Moseley (USA): I'd like to still be dreaming up unique swims that raise awareness about water on our planet. Lori King (USA): Hopefully, being happy and at peace. Doug Woodring (Hong Kong/USA): Hopefully I haven’t burned out on my ocean work. With more resources, we could make huge global impacts, so let’s see. 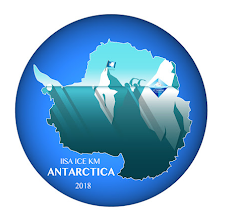 I would fully engage sports events into this story of environmental stewardship as well, and would like to train athletes like gold medalists or up-and-comers, globally, on these issues – as they have audiences they can reach, but they don’t often know or embrace the issues – we need them as ambassadors. 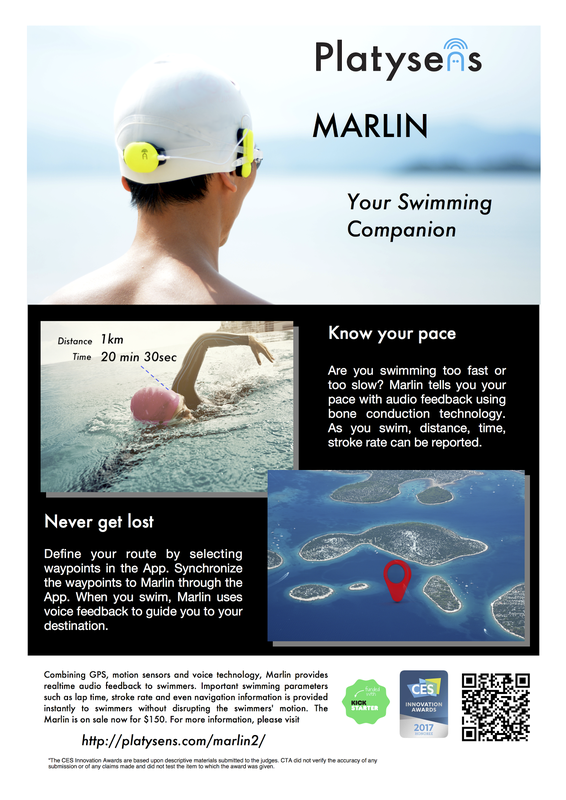 Ingemar Macarine (Philippines): Swim training. Darren Miller (USA): Wake up to another beautiful day alive. Bill Goding (USA): Live my life as is. Karlyn Pipes (USA): Bike ride, swim with friends and dolphins. Spend time with people in sobriety. Julie Bradshaw MBE (UK): Enjoy the day. Bridgette Hobart Janeczko (USA): I’m at our cottage on Seneca [Lake], so what I really want to do is go hiking with the dogs, swimming and kayaking, but what I will be doing is working, but at least looking at the water crash on the sea wall doing so...but that makes it all better. 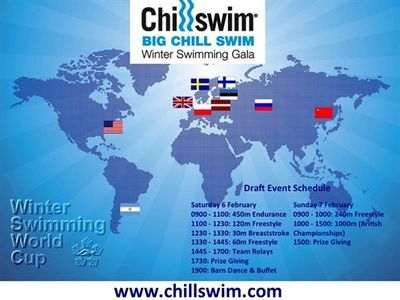 Anthony McCarley (USA): Time blocked for a 4-hour swim. 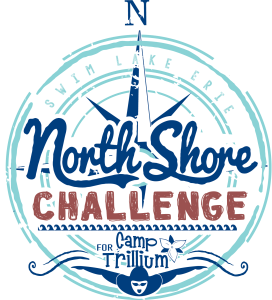 Ryan Stramrood (South Africa): The North Channel, on standby from tomorrow. Marcy MacDonald (USA): Having whole-belly clams with an my 88-year-old friend and maybe a swim. 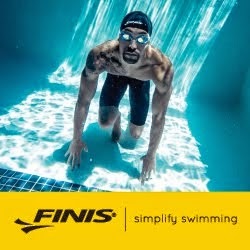 Eney Jones (USA): Go swimming. John Kenny (USA): Get off work early so I can train. Kevin Murphy (UK): Swim and walk, both 30 minutes each and part of my fight back to fitness after having an artificial shoulder surgery. Matthew Moseley (USA): Hiking with my family. Doug Woodring (Hong Kong/USA): Surprise someone with change. 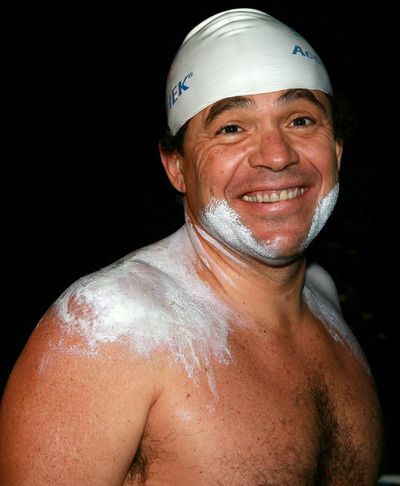 Ingemar Macarine (Philippines): As an advocate of clean seas through open water swimming. Darren Miller (USA): I want to be remembered as a dedicated husband, father and leader who helps inspire others to pursue their dreams no matter who difficult they may initially appear. Bill Goding (USA): Someone who enjoys what they are doing. Karlyn Pipes (USA): Generous with time and energy. That I made a small difference and maybe even helped them to be happier...whether that be in life or the pool. Julie Bradshaw MBE (UK): A person who enabled and inspired others; friendly and honest and with integrity. Ellen Shockro (USA): Happy, accomplished, smart, kind, generous. Bridgette Hobart Janeczko (USA): As someone that was generous with friends and family, loved animals and raising money for causes, and as a fair employer and company leader who successfully mentored others to lead in her retirement. Someone who is committed and disciplined. Anthony McCarley (USA): Someone who likes to help others. Honest and thoughtful. Ryan Stramrood (South Africa): As someone who tried. Who pushed boundaries, personal and other, who didn’t let a medical issue hamper the spirit, who gave back to the best of his ability and who was the best father ever. Marcy MacDonald (USA): Smiling and following the Y values that I teach and coach Respect, Responsibility, Honesty, and being a Caring person. Eney Jones (USA): I would like to be remembered as someone who was positive in the face of adversity, who cared deeply about others and shared her knowledge of swimming with love and passion. I would like to be remembered as not only a good swimmer, but as excellent researcher, teacher and coach. And as one whose powers of observation helped others swim faster and easier. John Kenny (USA): As someone who gave it all they had and made a difference. Kevin Murphy (UK): I never gave up. I always wanted to go for one more little dip. I was never a great swimmer, but I had great willpower and I was influential in moving our sport onto bigger and better things. 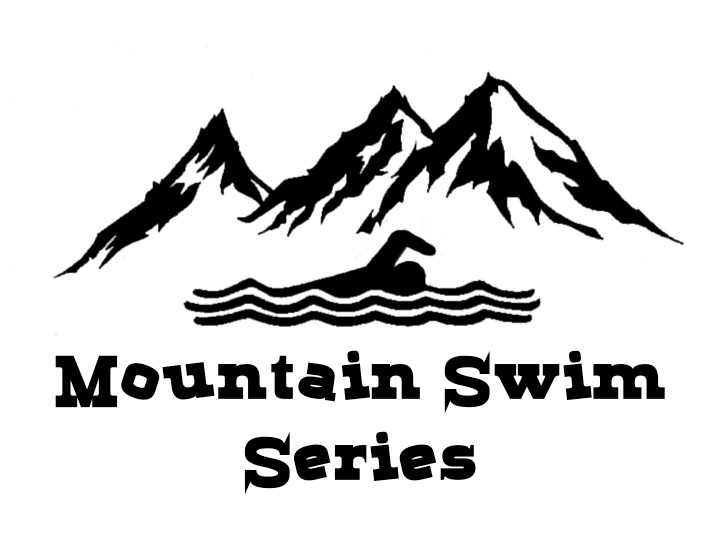 Matthew Moseley (USA): I'd like to be recognized as being on the forefront of adventure swimming. I would like to be respected by people as someone who could bridge the world of athletics and swimming and activism, successful in my career by influencing the biggest policy and social issues of our day and who was always charging and having fun by going to concerts, camping, creating adventures and laughing the whole way. I want to be remembered as someone who made the absolute most out of the precious time we have on the planet. Lori King (USA): Hard working and caring. Doug Woodring (Hong Kong/USA): By being a leader who could bring people and groups together who often would never meet or collaborate, and who saw issues or opportunities to inspire, surprise and solve. Basically via environmental entrepreneurialism which is what I am doing now, but money is not the end game – change and solutions are. Julie Bradshaw MBE (UK): Extraordinary. Bridgette Hobart Janeczko (USA): My goal for nearly the last 10 years was to gain balance in my life versus being a work alcoholic, so I’m going with Balanced. But I’m not sure anyone would agree with me, but I do feel much more balanced and I’m trying my best to do so. So I’d say balanced, focused. Ryan Stramrood (South Africa): Epic. Motto: Thank God I’m not normal. Eney Jones (USA): Affable, Amiable Approachable. John Kenny (USA): I don't know. What's a word that means overcoming a lack of talent? Matthew Moseley (USA): Magic: My swims are something that didn't exist before and they become much more than just swimming and greater than the sum of its parts. 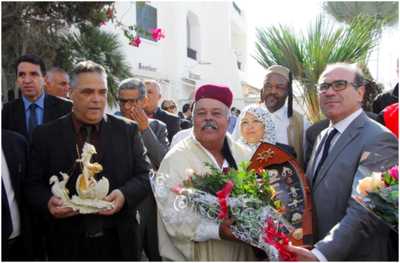 They have influenced people's lives and their thinking about water and the environment. Doug Woodring (Hong Kong/USA): Aquatically Innovative or Aquativative if you need one word.